Mobile adoption is changing the way we do business in South Africa. In 2016, almost 70% of South Africans have browsed the web from a mobile device. Going beyond content, mobile apps are providing an invaluable mechanism for companies to engage with customers and businesses must carefully consider mobile in their digital strategies. The global average for app user retention rate is only 3% after a month. Getting customers to try your app is easy. Keeping them for longer than a week is a different story. According to Quettra, drop off rates for daily active users are as high as 77% after 3 days, and 80% of apps are only used once before being deleted. The global average for app user retention rate is only 3% after a month. What practical considerations should we take into account when building mobile apps and how do we keep customers engaged? An app offers a channel to an underlying product - a means to an end, rather than the end itself. OrderIn provides a delivery service. The FNB app provides access to banking services. Uber offers ride services. Customers rate the product, not the app, and it’s the underlying product that drives app usage. Without a well-crafted value offering, the app’s shelf-life will be short. The choice of whether to create one monolithic app that serves many purposes, or to unbundle the functionality into several smaller apps can have pros and cons on both sides. 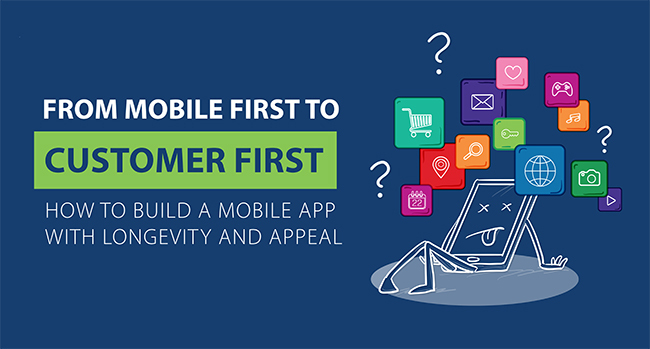 Discovery, for example, includes all their products within a single app framework, offering a central point for the customer to experience the brand. For Discovery, this probably makes sense given the integrated nature of their products. Uber, on the other hand, provides an app for ride sharing and a separate app for food delivery, requiring the user to download both if they’re wanting to order food whilst riding in an Uber from the airport to the hotel. They do however still share a single user account. Ultimately, the app experience should deliver value to the customer in the easiest way possible, having a clear purpose that addresses an immediate need. Customers rate the product, not the app, and it’s the underlying product that drives app usage. Aesthetics are important, but this needs to extend to a compelling user experience to truly gain acceptance. On-boarding - make the sign up process as frictionless as possible. Be ruthless when cutting the cruft and be creative in how you balance the need for gathering data versus getting your user productive. Add value at the earliest opportunity. Navigation - give the user a ‘sense of knowing’ where they are in the app and make sure the core functionality is front and centre. Optimise the flow and minimise cognitive load required to achieve a task. Performance - streamline activities on the critical path and minimise back-end dependencies that clog up the experience with twirly animations. Even better, cache everything locally and sync up asynchronously where feasible. Less is more - unsure whether a feature is important? If you already have your core functionality sorted, then put it on ice. Giving users less choice lets them navigate more quickly through the important features without thinking too much about how to get there. Avoid indirect competitors - anything that distracts your users whilst using the app is considered an 'indirect competitor’, which can be detrimental to increasing adoption. Asking users to enter a confirmation code sent to their email app, for example, detracts from the overall user experience and introduces an indirect competitor into the mix. Quantitative data is key to gaining usage insights, allowing you to respond quickly whilst extending your mobile strategy over the long term. The right data is important: it must be actionable. 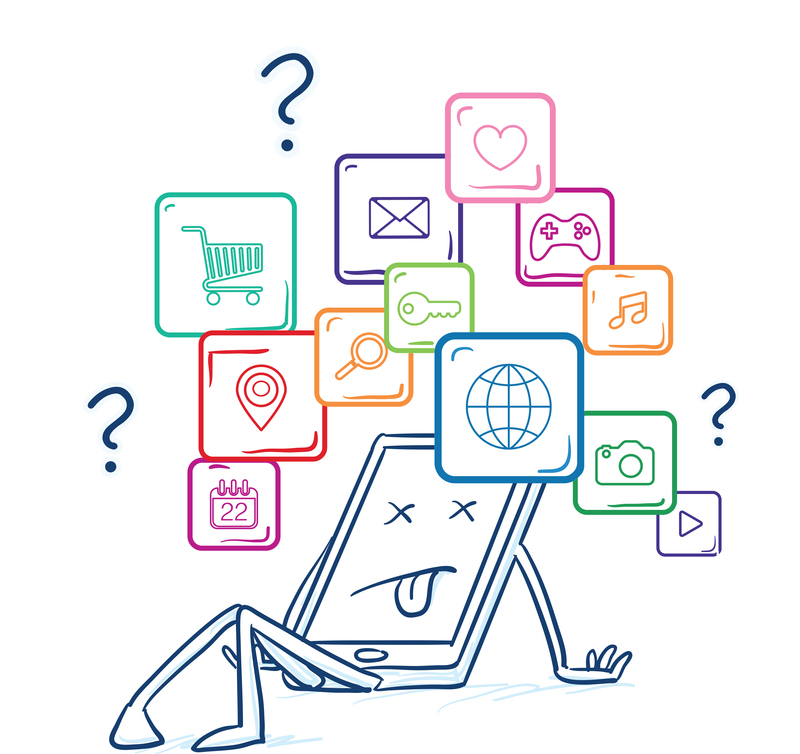 Measure user engagement through in-app analytics and other channels to determine usage patterns and where user drop-off may be limiting stickiness - such as app crashes, poor performance or a UI choice that may not gel with a broader audience. Quantitative data is key to gaining usage insights, allowing you to respond quickly whilst extending your mobile strategy over the long term. The right data is important: it must be actionable. Measuring number of downloads is meaningless from a customer experience perspective since it doesn’t reflect engagement or retention, or drop-off. Measuring number of crashes, however, is useful and immediately actionable. We start our day with an app and we end our day with an app. Competing for attention in a crowded space means going above and beyond the norm, giving customers a compelling reason to return for more by creating something useful, good to look at and easy to use. Mobile first is here and a digital strategy without mobile is missing the boat. Providing functionality in a customer’s pocket is not a competitive advantage, it’s a necessity to stay relevant and businesses should be working non-stop to reach and retain customers on their mobile devices.